Study after study indicates moving is a stressful time indeed; however, with a little preparation and organization, moving day can be more enjoyable for the entire family. To get you started on the right foot, we put together a checklist leading up to the day of your move. Follow these tips to ensure your day is predictably pleasant—right down to the final detail. • Photos. Before you do anything, take photos of your home. My husband and I do this every time we move, and I am so grateful. I know some day when we expand our family, I will enjoy showing them pictures of where we lived. • Minimize what move with you. Go through every room of your house and decide what stays and what goes. Don’t forget the basement, attic and garage. This may seem like a lot of work but, trust me, come moving day, you’ll be glad you did. • Take inventory. Take stock of every valuable item you plan to move. Include photos, along with written descriptions. • Organize records. If you have kids, make arrangements with their current schools to have their records transferred. Secure copies of everyone’s medical records, as well as recommendations of doctors in your new community. • Talk to your kids. Moving can be an uncertain time for children, especially if they are leaving the only home they know. 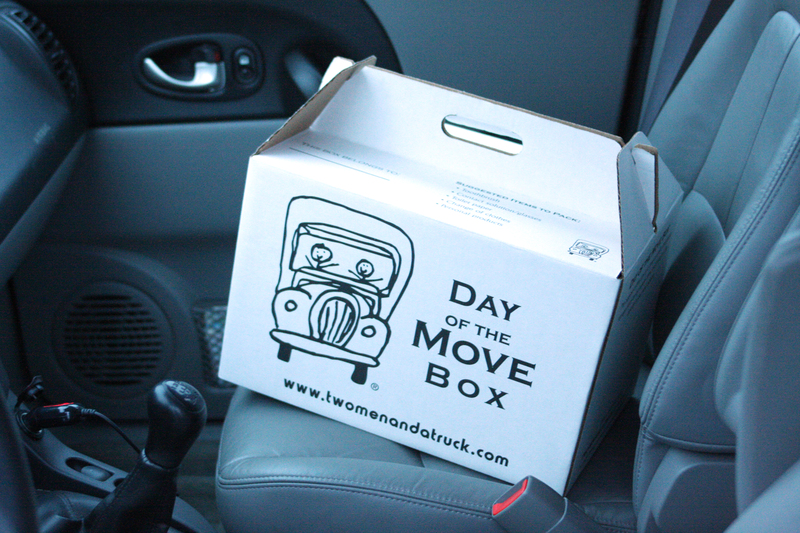 Early on, begin including your kids in moving discussions, and give them an idea of what will happen on moving day. Be certain they know they can talk to you about any fears they might have. • Research. It’s time to decide if you are going to move yourself or hire a moving company. You don’t need to book anything yet, but it’s good to plan accordingly. When interviewing moving companies, make sure to ask if they are insured and bonded, if they hire full and part-time movers rather than temporary movers, and how they charge. Click here to get your free moving quote. • Finalize real estate or rental needs. Renters, communicate with your landlord about the upcoming move. See if they have any moving-out guidelines or polices you’ll need to follow. • Prepare to pack. Order boxes and other packing supplies. Don’t forget to buy plenty of bubble wrap and tape! Look into wardrobe and other specialty boxes as they make packing much easier. Whatever you do, don’t use food or supermarket boxes. You never know what little critter is hiding inside or if the box will be strong enough to support your possessions. • Begin packing. Pack up items you don’t frequently use, and clearly label each box with the name of the room for which it is assigned. • Pick you moving partner. Now that you’ve done your research and thought it over, decide how you want to move. If you decide to use a moving company, make your reservations plenty of time in advance to secure your ideal day and time. Many moving companies are filling up reservations faster than ever! • Notify utility companies. No one wants to pay for utilities they’re not using. Notify each company of the day you are moving, and arrange for your new accounts to be started when you arrive at your new house. • Change your address. To change your address, either go to your local post office or visit usps.com and fill out a change of address form. • Notify important parties. Contact your bank, insurance provider employer, and magazines or newspapers you subscribe to. Celebrate your milestone with creative moving announcements featuring your new address, and mail them to all of your friends and family. • Finish packing. Remember to pack important and sentimental items separately so they are easily accessible. Plan on keeping this box with you personally when you move. • Confirm move. Confirm the time the movers will arrive as well as other specifics and make sure you have prepared exact, written directions to your new home for the movers. Also include contact information, such as your cell phone number. • Clean. The last thing you want to do before you move is clean everything in your house. In order to save you time, begin cleaning rooms you don’t use as often. It’s also a good idea to make a “survival closet” containing things for the last cleanup before you move out. For example a broom, dust cloth, dust pan, mop, etc. • Pack your suitcase. I highly recommend packing a suitcase or use our “Day of the Move” box with essential items and clothes for the day/night. You will be exhausted after the move, and when it’s time to get ready for bed, you don’t want to have to dig through multiple boxes. • Eat a healthy breakfast. It’s going to be a long day so make sure you eat a nutrient-rich breakfast to help you stay energized during a rigorous day. • Initial walk-through. Take the time for an initial walk-through with the movers. Did they do a thorough inventory of your items and know what will be moved? • Lock up. Walk through the entire house and make sure everything is out. Also check to make sure the windows are locked, the lights are off, and the doors are closed and locked. 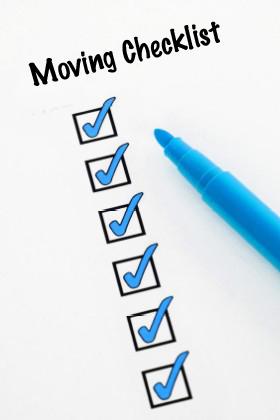 Click here to download your free moving checklist! Leaving an old home to your new it’s possible to become more than just a new bodily move. It is also a great psychological encounter. Before you decide to pack your own totes and also produce the supplying containers, remember to take a moment and also manage anything for the stress-free going time. And try to make moving checklist,if unable to make it you may get help from this blogs. Thank you very much for posting it.